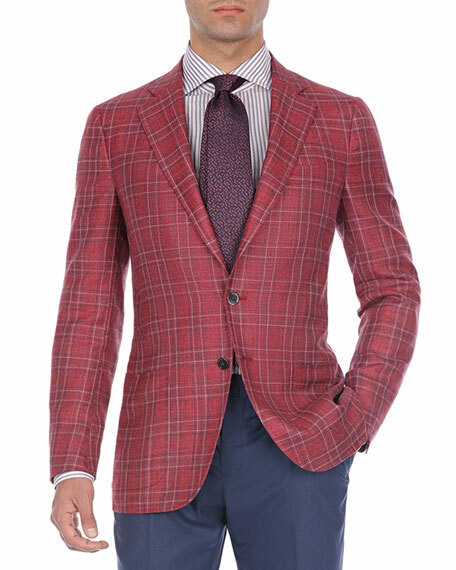 Isaia plaid blazer. 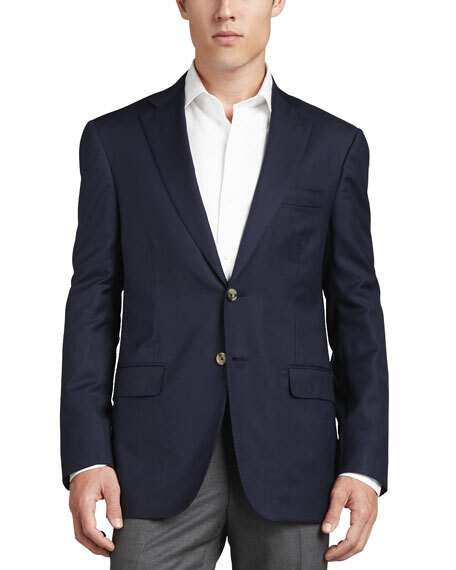 Notched collar; two-button front. Basted sleeves. Welt pocket at left chest. Patch pockets at hips. Tailored fit. Double back vent. Wool/cotton. Made in Italy.